- Rosamund Pike delivers an Oscar caliber performance. - The rest of the cast had good performances as well. 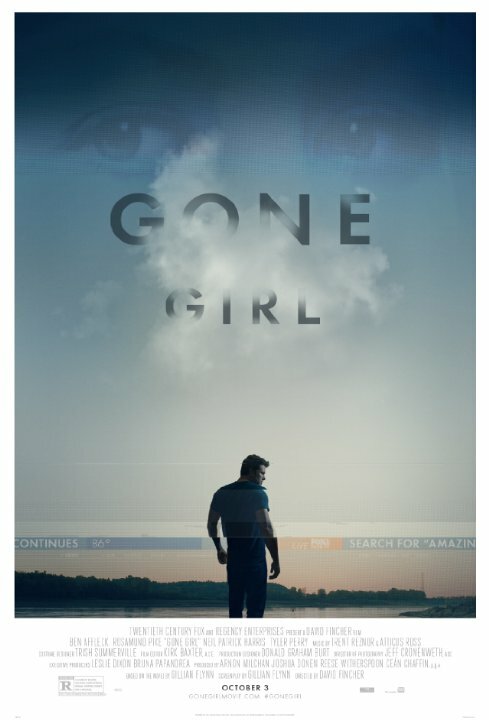 - David Fincher sets the right tone that makes "Gone Girl" arguably the best film of the year. 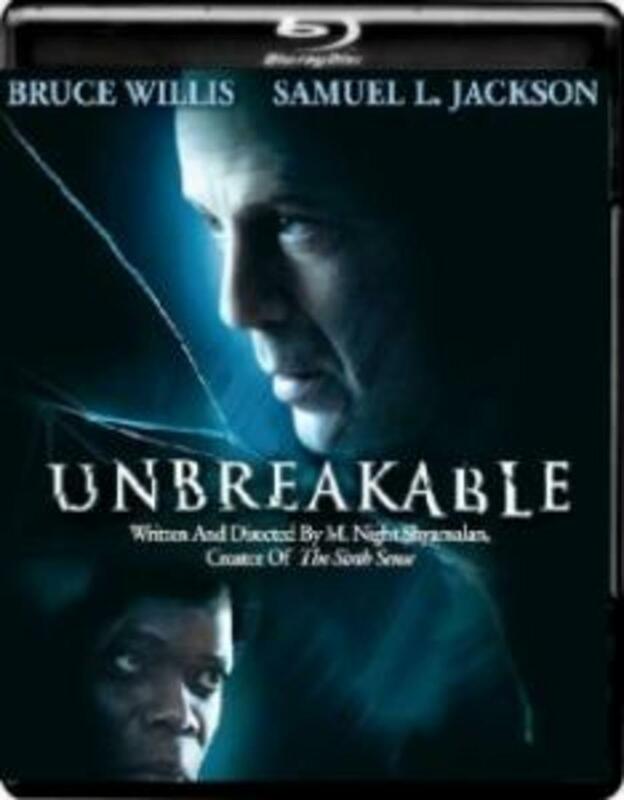 - Great script that's chalked full of surprises that'll keep you guessing throughout the film. 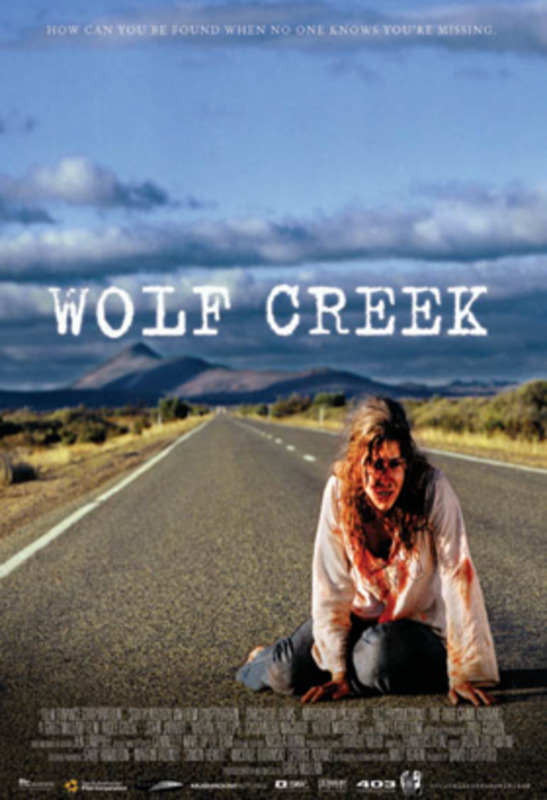 - The creepily sad background music, the atmosphere and filtered lens for the cinematography help create a dark serious movie that'll break your heart. - The ending might be too disturbingly sad for some people to handle. "Gone Girl" is a mystery wrapped in a question, while being harbored inside an enigma. And if you can even fathom what that means, then you might be ready to see arguably one of the most perplexing stories ever told on the big screen. When we see the trailers for this movie, "Gone Girl" looks like another run of the mill drama about a man that's accused of killing his wife, after her mysterious disappearance. However, we soon learn that sometimes things aren't always what they appear to be, as "Gone Girl" doesn't settle for any of the cheap Hollywood cliches that one would expect. Without giving away too much, I will tell my readers this much. Whatever you think is going to happen in this feature isn't going to happen. If anything, the ending is completely different than what you might expect; which makes it refreshing to watch because you never know where the story will take you next. It's an elaborate mystery thriller that'll grab your mind with it's overbearing emotional story, but it'll shatter your heart with it's jaw dropping plot twist. .A story chalked full of surprises at every turn, while leaving you gasping for more. Whether you like "Gone Girl" or not, it's one of those rare films that'll stick with you long after you see it. I would delve more into the plot, but it would give the film a great disservice, as part of the fun is the mystery itself. All you need to know about the plot is that it follows a man named Nick Dunne (Ben Affleck), who finds out his wife has mysteriously disappeared. After a series of events, Nick finds himself under public scrutiny by the media and police, as they start to suspect that Nick may have murdered his own wife. But is the story that cut and dry? Or perhaps there's more to this mystery than we're being led to believe? As I mentioned earlier, part of the fun is finding out for yourself, as this is one ending that you'll have to see to believe. "Gone Girl" is based on a book by Gillian Flynn, and David Fincher allegedly changed ending of the story according to most sources, so I wouldn't count on reading the book to give you any spoilers either. "Gone Girl" offers a deep psychological character study of a text book sociopath. A person that's out of touch with reality, but only wants to be happy. "Gone Girl" can be disturbing at times, but that's part of it's charm. Unlike most Hollywood movies these days, "Gone Girl" doesn't settle for any pointless cliches and tropes that most films rely on. No, "Gone Girl" simply tries to tell a great story. One full of twists and turns, to where you can never predict where it's going to take you. But one thing is for sure, you won't be able to forget the ride. Rosamund Pike delivers a captivating performance that could make her a front runner at next year's Academy Awards. The layers of emotions Rosamund displays with her character is uncanny, yet provocative to watch. Ben Affleck has a solid performance as well. Although I hesitate to call this his best acting performance, but he manages to maintain just the right amount of vulnerability and compassion needed to carry the role. Plus, Neil Patrick Harris delivers a spectacular performance as well. Granted, he doesn't have a huge role in the film, but he does add a lot of emotional depth to anchor the story whenever he does. The filtered lens used in the cinematography along with the atmosphere, the sad background music, and visuals help set the tone to create possibly one of the most disturbingly engaging movies of all time. One minute, "Gone Girl" has you laughing at some of it's jokes about marriage, while the next it takes you on a ride that'll blow your mind once it comes to end. David Fincher has proven before with such classics like "Fight Club" and "Seven" that he knows how to deliver movies that contain plot twists that'll blow your mind, and "Gone Girl" is certainly no exception. While I would still argue that "Seven" is still by far his best movie, "Gone Girl" comes pretty damn close. 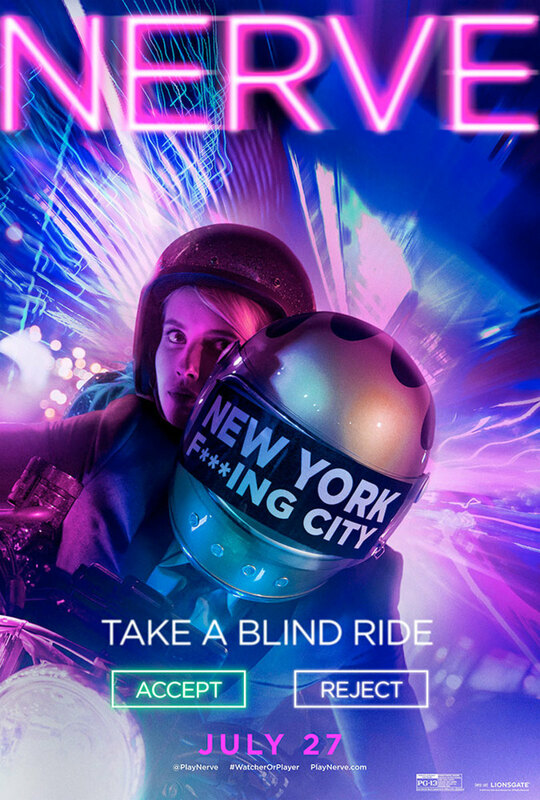 If anything, I'll be very surprised if this film isn't nominated for "Best Picture" next year at the Oscars. Not only is "Gone Girl" arguably the best movie of 2014, but it's probably one of the best mystery thriller films ever made. If you're yearning to see an elaborate mind f***ing experience on the big screen, then "Gone Girl" is worth the price of admission. Grab a tub of popcorn, a cold beverage, and some candy because this is one experience you won't want to miss. Hmm that's a very interesting analysis of the movie, and thank you for the compliments. To be honest, I was debating whether or not to delete your comment considering you do give away a big spoiler for the film, but it would go against my new year's resolution. Or at least one of them anyway. lol. From reading your thoughts on the film though, you do bring up some good arguments that maybe the big reveal might've came too soon in the story, but to be honest, I still felt it worked rather well considering how it was set up. In a lot of ways, it reminded me of the big reveal in "Shawshank Redemption", where it shows you exactly how Andy Dufrane managed to get out of jail and get back at the warden. The film itself laid out various clues for audiences to pick up on, so when the big reveal did happen, you'd realize the movie was foreshadowing it all along without you knowing it. In some ways, I just felt "Gone Girl" did kind of the same thing for me. Plus, Rosamund Pike really sells her part in this movie. As for how audiences are supposed to feel about the characters, I really can't speak for anyone else. However, I did feel sorry for Ben's character at the end. Although I personally feel Ben's character is a freaking moron for staying with her because if it were me, then I'd be getting the hell out of dodge. Sure, the media and most of the United States would hate my guts, but I'd rather be hated than stay married to a sociopath. Don't get me wrong, I do know why he stayed though, as I think he mainly felt bad about leaving the kid with a sociopath for a mom. However, I'm just saying if it me personally, I would've left the instant she revealed her big secret to me. I would've just made up some excuse like, "Hey honey, I'm going to the store to buy a newspaper." After that, I would never go back to her again. I'd disappear into Canada or somewhere in the UK. All kidding aside though, I can see where your coming from. However, like some mystery films, "gone girl" seems set up to where it allows the viewer to take from it what they want, which isn't a bad thing per say. I mean "Shutter Island" did that, with it's ending, where you could argue with anyone about what really happened to Leonardo's character. Same thing with an ending like the one that was featured in "Rashomon." I don't know if you saw that movie or not. If not, then you should definitely check it out if your into old foreign movies. It's basically about a wife and a samurai on their honeymoon, but the samurai gets killed after a confrontation with a bandit. There's like this trial, where you get to hear four different witnesses explain what happened, but each story is vastly different from the other. In fact, the only real thing that's constantly the same throughout the four stories is that the samurai dies. that's basically it, so it leaves it open to where you as the audience has to decide who they think is really telling the truth and who isn't. I love movies that make you think like that. Not that I'm comparing "Gone Girl" to any of those previous mentioned films, but I thought it was an interesting mystery story though. However, all movies are subjective anyway, so to each their own. Anyway, thanks for stopping by. First off, that was a stellar review; well thought out, great writing. You have a talent and an eye for film criticism. That said, I hated the film; hated! The actual look of the film was very inexpensive looking for a film that was chalked up to be a blockbuster. Stylistically, I feel that Soderbergh, Liman or Nolan would have done a better job with the cinematography. Some of the shots seemed quickly set up and rushed. I see what they were trying to do with the lighting, but for me it wasn't effective. Everyone seemed to like the dark moodiness, but really it was a cheap trick. The exterior shots were almost all filmed in the early morning, in the evening, and at night. All of the daytime interior shots were green screened to let in the light. As for the story, it was worse than the cinematography. The reveal came way too quickly; about halfway through the film. So, 50 minutes in we know she's a sociopath. So what was the point of the rest of the film? It was sold as a mystery and a thriller, and the big reveal happened before anyone was done with their popcorn. If I had been led to believe that she was innocent, and one image during the climax gave her away, that would have been more effective. I know it was adapted from a book, so I see why they stuck to a fan based plot. What do you do with a film where you hate both characters? I believe that the audience can love a good antagonist, but there really wasn't anything that drew me to either one of them. The third act seemed rushed, contrived, and like it was a last minute add on in the minutes counting down to the next writer's strike. Unfortunately, it was a long movie that didn't have much to say. The original script was 177 pages long by a novice screenwriter. Boy did the film feel fluffed up with unnecessary scenes. It also didn't leave me hanging, like a good thriller should. I like endings like "Inception's" top turning and sputtering. Those types of films make you want to go back for a second view. Gone Girl didn't do that for me. There wasn't enough hidden information and symbolism. We were told, not shown the story, which is breaking the number one fiction rule. What am I supposed to feel when the credits roll? Sorry for him? For both of them? Disgusted? Disturbed? The film didn't offer me anything profound. Personally, "Momento" and "Zodiac" did a much better job of telling that kind of tale. Zodiac left me wondering and seeking out what happened to the killer--because he was never found. There is something creepy about never being told the whole truth. The only thing that would make the film better for me, if upon repeat viewings, I realized that the real story was that Dunne was in on it the whole time to make money; that they had both contrived the whole thing to spark their dead writing career. That would have left me searching for clues; to re-watch the film knowing that they were both lying. I'm not actually a negative person and I am very happy that you enjoyed the film. lol. Well I certainly do appreciate the vote of confidence, as that really means a lot to me. Thanks. I didn't realize my review of this film was that great, as I was kind of scared that I might have been too vague about it. However, I'm glad that's not the case. lol. I do appreciate you sharing this review with your friends, and I hope they'll want to check out more of my work in the future. As far as youtube is concerned, that is one possibility that i have considered because of how easily it is to capture the young demographic on there like Jeremy Jahns' and others do. However, I'm mostly interested in starting my own site though, which is something I haven't looked into yet. I think once I get my life situated, then I'll definitely do that. Who knows maybe I can do both youtube and run a site doing stuff like this. I don't know. However, I'll definitely make an announcement about it if and when either of those things happen. Incidentally though, I have purchased a webcam over a year ago that I've only used like maybe one or two times. I thought i got it as a steal from amazon because it was only 3 bucks, but the stand for it was broken. The cam works, but i had to use super glue to fix the stand for it. however, it seems to work now. I guess i should put that thing to work, since it would be a shame to let it go to waste. Whatever you have to do, you must try to get past being camera shy. The You Tube reviews sounds good and you should give it a try. What about having a really close friend, sitting behind the camera so you can tape in a relaxed manner as if you are talking to him or her? Just be confident! I hope you realize how fabulous your review is. No need to be shy. Not every one can go into an explanation and description of a movie....the plot, action, roles, music, cinematography.....and have people become excited enough to go out immediately to see a movie. I've had some friends of mine read this work of yours (without saying anything to them in advance) As far as they were concerned I wanted them to know about the movie. So, if I've inflated your ego...so be it buddy. I believe that you are shy, because you are also modest. You don't even know how good you are. @Charu- Thanks. I'm glad you liked it. @prasetio30- Your welcome, and thanks for stopping by. @fpherj48 - Wow, I'm flattered you really loved what I had to say about this film. To answer your question, I don't do this professionally; unless you count publishing them on here. However, I have thought about it though. I even entertained the idea of doing reviews on youtube, but the only problem with that is that I tend to get camera shy rather easily, so I'm not sure if that would work. Plus, I'm sort of like Dave Chappelle when it comes to wanting to be famous. I don't mind being famous, but I don't want to be so universally recognized by people that I can't even walk to the store without being mobbed by people. Most of the popular youtube movie reviewers tend to go through that sometimes, so I'm not sure if I want that too. As far as your son goes, I'm sorry to hear he's starting to get annoyed by it. lol. Although I have to admit looking like a famous celebrity is kind of a great problem to have. At least, I think so anyway. I like Ben Affleck a lot too. If anything, I have a feeling that he'll probably be the best batman we've seen in 2016's "Batman v Superman: Dawn of Justice" simply because he's improved a lot over the years as an actor. Plus, it's no secret that Ben's life long dream was to play batman on the big screen, so I'm sure he's going to put in a great performance. Of course, I could be wrong, but I have a feeling he won't. Anyways, I appreciate your kind words, and thanks for stopping by to read my review. I hope you enjoy the film whenever you get a chance to see it. @suzzettenaples - Thanks. I'm glad you liked it, so which would you say is better though out of curiosity? The book or the actual film? Nice review. I haven't seen the film yet. Thanks. Nice review and I should watch this movie. Thanks for sharing with us. I also enjoy the thriller above. Good job and voted up! I thank Audrey for sharing this! Steven, this has got to be the most incredibly fabulous movie review I have EVER read. I must read your bio, but do you do this professionally? If not...you certainly should! You'd blow all the rest right the he!! out of the #@&%!#@ water!! In fact, I suggest you send this to WHOM it may concern in Hollywood. You have me all worked up to see this movie...immediately if not sooner. I love Ben. Mostly because my eldest son is his spitting image. Seriously. My son travels a lot due to his business and he has been approached in Airports numerous times by people thoroughly convinced he is Ben Affleck. LOL In fact, he's becoming annoyed by it. Great review! I've read the book and seen the movie and I loved both. I did like the ending because it is so disturbing on so many levels. The ending is so thought provoking and leaves readers and viewers with moral questions to answer. I agree Rosamund Pike should be nominated for an Oscar. Her performance was spectacular. Ben Afleck's performance was very good also. Thanks Audrey. I'm glad you liked my review, and I hope you enjoy the film as well. Ben is great in this too. Personally, I think Ben gets way more flak than he deserves, as he's not a bad actor. If anything, I think he'll probably end up proving a lot of people wrong when he plays batman in 2016.